Here’s how I made my reversible bookmark & how you can make one as well, just as easily! 1. 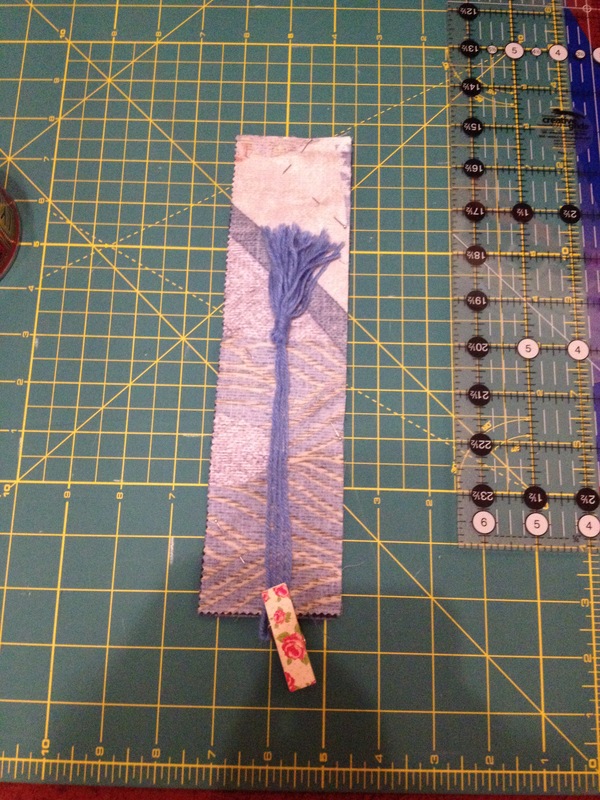 Make a tassel to dangle at the bottom of your bookmark. I used some spare wool, but something finer would look even better. Follow the instructions from this wikiHow tutorial. 2. 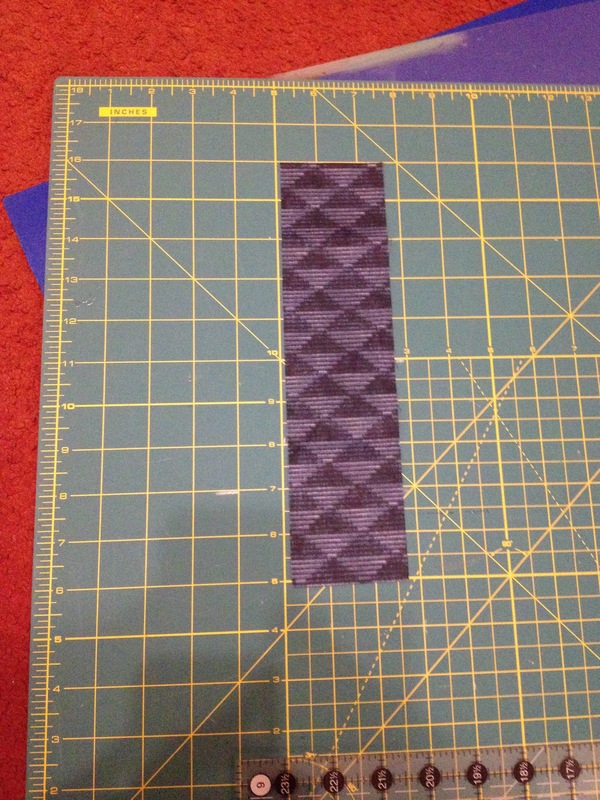 Cut out two pieces of fabric, the same size. You can use contrasting fabric or the same for both sides. 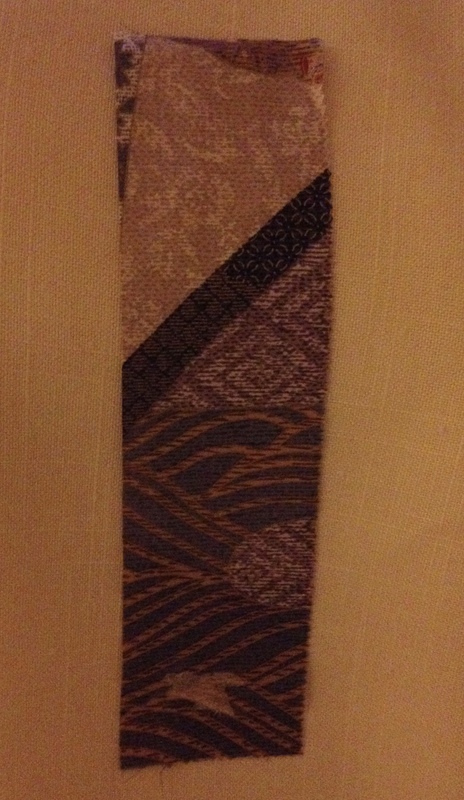 I opted for two pieces of contrasting fabric. Each measuring 10 inches by 2 and a half inches. 3. Place the fabric right sides together, and carefully place the tassel so that it is upside down (as in the image), but sandwiched in between the two pieces, so that all that is visible is the bottom loop poking out of the bottom. Pin in place. 4. Sew around the edges, I used a 1/4 inch seam allowance. Be sure to leave a gap of a couple of inches, so that you can turn it inside out. (I mark where to stop sewing with two pins, to ensure not to sew around the whole piece accidentally.) Snip the corners off. 5. Turn inside out/ the right way round & get a blunt tool such as a pen, to gently ease out the corners. 6. Press and then topstitch all the way around, as close to the edge as possible. This will finish it off, as well as close up the gap that was used to turn it the right way out. 7. Voila, you have successfully made a reversible bookmark. If you have followed the instructions and made your own, please comment below and send me a picture or a link & I’d like to see how yours turned out! With wool used from an old sewing project to make a tassel & using fabric used on last year’s Christmas present to Dad, I’m pleased with the reversible bookmark. Were I to do it again, I wouldn’t start sewing the top stitch in a random place down the (right hand) side, but would start off in a corner, to make it a bit more inconspicuous. & If I had some thinner cord or thick embroidery style thread to hand, I would use that instead to make the tassel. Merry Christmas! Have a restful and joyful time.